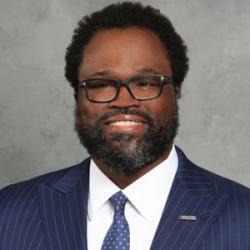 The University of Dallas' Satish & Yasmin Gupta College of Business announced that alumnus Irvin Ashford Jr., MBA '00, was among 33 business school graduates recently honored in the 2019 Class of Influential Leaders by the Association to Advance Collegiate Schools of Business (AACSB) - the world's largest business education alliance. The annual challenge recognizes notable alumni from AACSB-accredited schools whose inspiring work serves as a model for the next generation of business leaders. Ashford has helped thousands of individuals in Texas become financially literate and more fiscally responsible. Through his work at Comerica Bank and with the Boys & Girls Clubs of Greater Dallas, Ashford has been a role model for Dallas-area children growing up in disenfranchised communities. As the world's largest business education alliance, AACSB International (AACSB) connects educators, students and businesses to achieve a common goal: to create the next generation of great leaders. Synonymous with the highest standards of excellence since 1916, AACSB provides quality assurance, business education intelligence and professional development services to more than 1,600 member organizations and over 800 accredited business schools worldwide. AACSB's mission is to foster engagement, accelerate innovation and amplify impact in business education. The global organization has offices located in Tampa, Florida, USA; Amsterdam, the Netherlands; and Singapore. For more information, visit aacsb.edu. The Satish & Yasmin Gupta College of Business at the University of Dallas has been perfecting graduate business education for more than 50 years. Located in Irving, Texas, the college offers Texas' only AACSB-accredited Doctor of Business Administration, in addition to Master of Business Administration, Master of Science, Bachelor of Arts, and many professional education programs, making it one of the most popular choices among Dallas/Fort Worth's business leaders. SB Hall, which opened in January 2016, houses the college, providing students with state-of-the-art technology and practical tools to prepare them for their future careers. For more information, visit udallas.edu/cob. The University of Dallas, located in a metropolitan area of nearly 7 million people, is a leading Catholic university widely recognized for academic excellence by well-known publications, organizations and accrediting bodies. It offers distinctive undergraduate and graduate programs in the liberal arts, business and ministry that are characterized by academic rigor, an exceptional faculty and a commitment to shaping principled leaders in the Catholic intellectual tradition. For more information, visit udallas.edu.